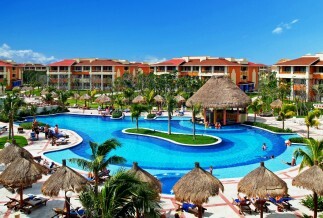 A paradise for families, this kid-friendly all inclusive has a water park, wave pool, lazy river as well as a beautiful beach. 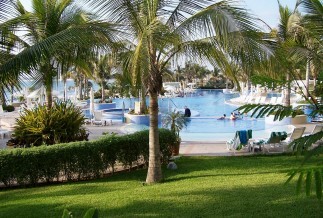 The Iberostar resorts are known for quality all inclusive hotels with great service and kid-friendly options. 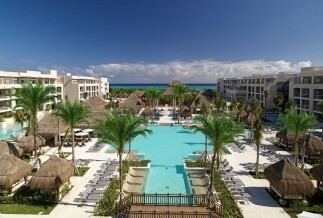 The Iberostar Paraiso del Mar is a great family-friendly option when choosing an all inclusive resort in the Riviera Maya. 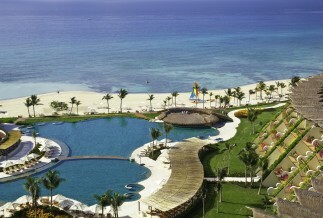 The kid-friendly Iberostar Paraiso Lindo offers a wave pool, a lazy river and tons of activities for the whole family. 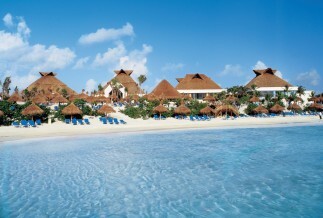 Located on the stunning Playacar beach, this Iberostar all inclusive hotel allows you to stay at 1 and play at 2. 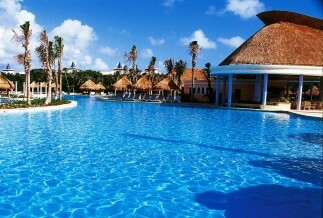 You will never be short of things to do in this mega all inclusive complex - stay at 1 play at 3 Bahia Principe resorts. 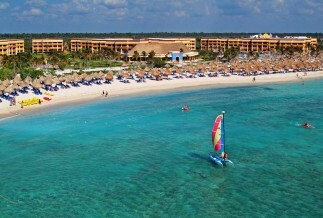 Part of the mega Bahia Principe complex, this all inclusive resorts allows you to stay at one but play at 3. 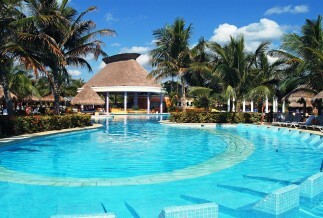 This family friendly all inclusive resort offers many activities and is located within the larger Bahia Principe complex. 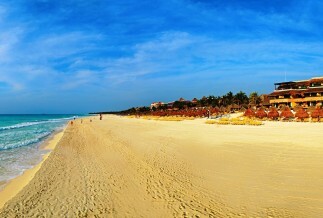 This all inclusive, adults only resort is a great choice for honeymoons, special occasions or just to getaway from it all. 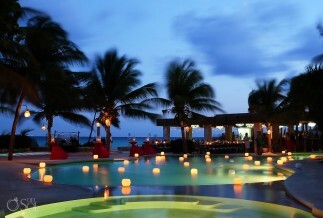 The ultimate all inclusive luxury resort with impeccable service that will delight the whole family. 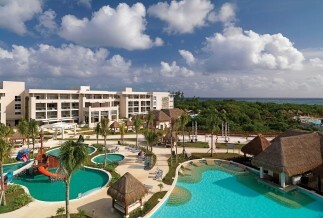 The superior service and lush suites are the perfect choice for an adults-only, all-inclusive vacation in Playa del Carmen. 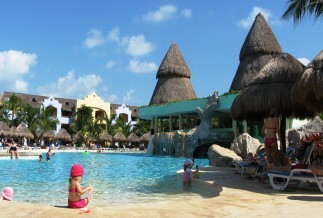 The Paradisus La Esmeralda is an all inclusive, luxury resort that is kid-friendly too. 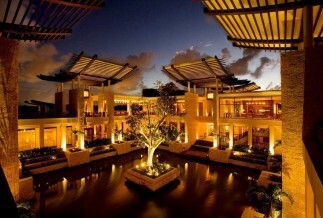 On the list of Conde Naste's World's Best Places to Stay - this luxury hotel is sure to impress. 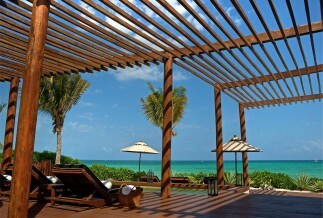 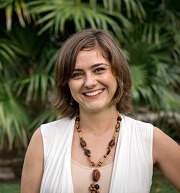 The luxurious Rosewood Mayakoba is all inclusive hotel offering exquisite food and fabulous service. 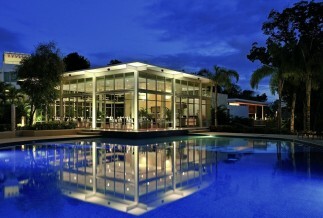 This adults only boutique hotel is the perfect choice for a honeymoon, anniversary or special occasion.